Want to know the difference between top load and front-load washers? 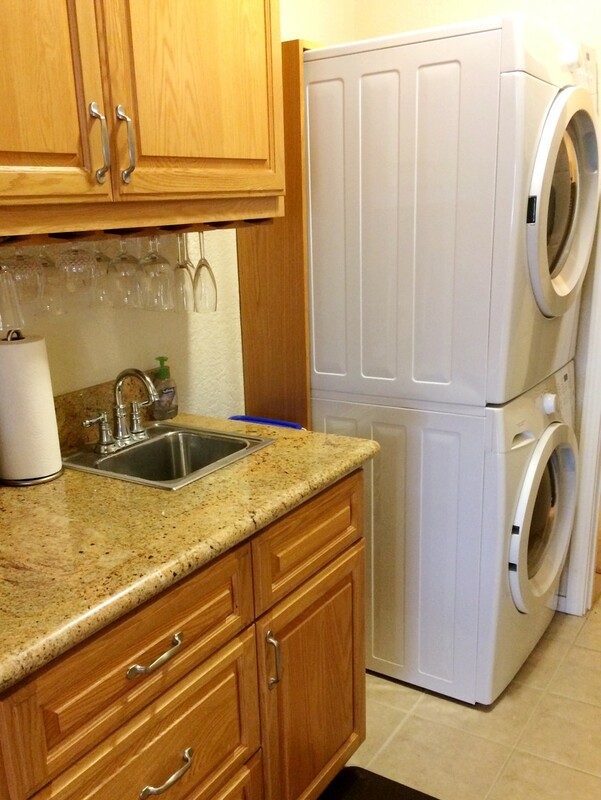 Wondering what kind of washer capacity your family needs? This guide has the lowdown. Maybe you just bought a house and it didn’t come with essential appliances like a washing machine and dryer. 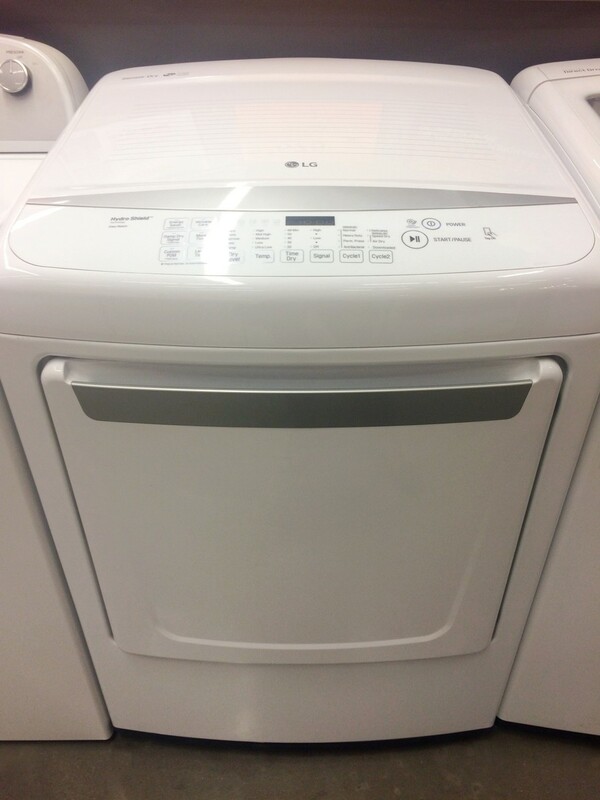 Or perhaps your old washer just gave up the ghost and it’s time to buy a new one. 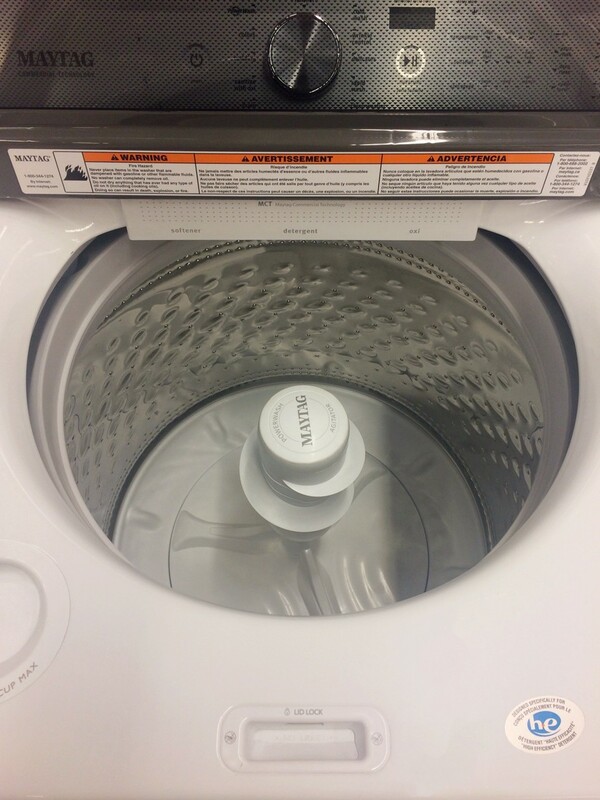 Whatever your reason for asking yourself, “What washer dryer should I buy?” this washer/dryer buying guide is here to help. With a variety of buying choices in front of you, you’ll need to know what to look for in your new washing machine, including washer capacity, size, and energy efficiency. 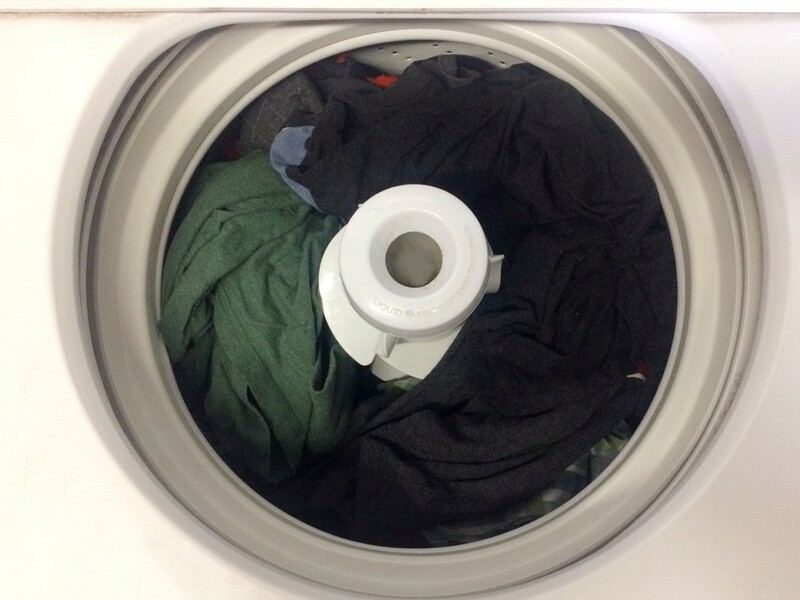 On top of that, you’ll want to know the difference between top load and front load washers and whether a stackable washer/dryer combo is right for you. Sound like a lot? Never fear. By the end of this guide, you’ll be armed with the knowledge you need to pick out just the appliance you need. Let’s start by breaking down what elements you should be on the lookout for when you’re scouring your local home appliance store. One of the first differences you’ll see when you start shopping for washers is whether they’re top-loading vs. front-loading. You’ll also notice there are two types of top-loading machines: the traditional model with a central agitator and the increasingly popular high-efficiency top-loader. No back-breaking bending over here, folks. These guys are often considered easier to load than front-loading models. Agitator models are often the most inexpensive option. They are fast to complete a wash and rinse cycle. High-efficiency models can have as large a capacity as front-loaders. High-efficiency models are gentle on fabrics, good at cleaning, quiet, and use less water than agitator models. They can be deep and hard to reach into for shorter people. When you’re shopping, reach into one to see how difficult it would be for you to pull out laundry. Agitator models use the most water. They usually have the smallest capacity (not necessarily a bad thing depending on your needs) due to the central agitator taking up room. They cause more wear-and-tear on clothes due to the agitator. Although they have a short wash cycle, clothes retain a lot of water, so the dryer time needed is longer. High-efficiency models use more water than most front-loading machines. Their wash cycle times are longer. They require special HE detergent. Front-loaders often have the biggest capacity but use the least amount of water and energy. You can wash even small loads in them, as they adjust water amount to fit load size. Its finishing spin cycle leaves clothes quite dry, shortening dryer time needed. A dryer can be stacked on top for a space-saving solution. Front-loading washers are often the most expensive option. They require lots of bending over when doing laundry. A regular wash/rinse cycle is long, about 70-110 minutes (although this is because it uses less water, giving clothes time to get clean). Historically, front washers would vibrate against the floor during the spin cycle, though most models nowadays don’t have this problem. They can sometimes develop mold and mildew if not left open to air-dry. Before you settle on washing machine type, it’s helpful to know the capacity that’ll work best for you. Measuring capacity, the interior space of the machine, can be a bit tricky because different brands all have different names for their machine capacities. The standardized unit to look for is cubic feet, with machines ranging between 3-5 cubic feet. But what do cubic feet and laundry really have to do with each other? Instead, it may be easier to think about your laundry in terms of weight. Generally speaking, a child’s outfit weighs 1-3 pounds while an adult’s outfit weighs 3-5 pounds. To figure out the weight of your average laundry load, go ahead and use a regular bathroom scale to weigh a load. So, what size washing machine do I need for a family of four? If it’s just one or two of you, a compact or standard-capacity washer will do the trick. If you have a bigger family of three or four or more members (or plan on having a bigger family — remember, a machine is an investment), a standard-capacity washer will work, but you may want to consider a larger-capacity washer that can handle larger loads. 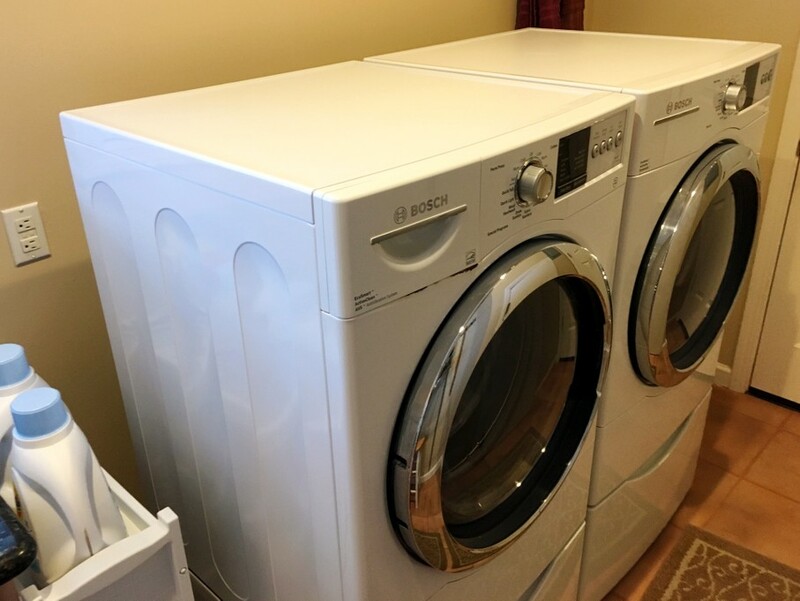 Find more helpful advice on buying a washer & dryer or making the most out of a small laundry room with other great House Tips! When thinking about capacity, also consider how many bulky items you tend to wash. For instance, something like a king comforter needs a larger-capacity washer of at least 4.5 cubic feet to fit comfortably. The general rule of thumb is to have a dryer that fits twice as much as a washer, to give clothes room to spread out and dry.